After the May 2016 elections, I advised the Opposition to cooperate with the president and not plot against and obstruct him. It chose not to listen because it thought Rodrigo Duterte would be a pushover who could be replaced by Leni Robredo. I told myself, well, if they want to play games, we would show them how to play. Just give them enough rope to hang themselves. The president gave them the rope. Because of their own stupidity, they fell into their own trap. It was simply a matter of leading them to it. Because of lack of brains, they made one mistake after another. Mistake No. 1: The Opposition misjudged the mood of the people. Duterte was elected on a platform of change. So long as he pursued that program and produced achievements his popularity would rise. That is what happened. Mistake No. 2: The Opposition thought it was dealing with a stupid provincial hick. It underestimated Duterte who turned out to be much smarter than them. Mistake No. 3: You don't go up against a popular president. You don't fight him on issues that are popular. Corruption, drugs, terrorism are popular issues not only at home but also abroad. When you attack Duterte on these issues, you merely increase and consolidate his popularity. When you plot to oust a popular president, public sympathy goes to him and you lose yours. Mistake No. 4: Churning out fake news about the president is a double-edged sword. It cuts both ways because his supporters can do the same thing. Mistake No. 5: The Opposition felt safe thinking it had the local mainstream media and the foreign media on its side. It forgot the social media which cannot be bought and has a much wider audience. The mainstream media lost its credibility with the public. The foreign media began to realize it was being used by the local Opposition to further a political agenda and that things in the Philippines were not what was being fed to them. If what the Opposition was saying was true, then why was Duterte so popular? Mistake No. 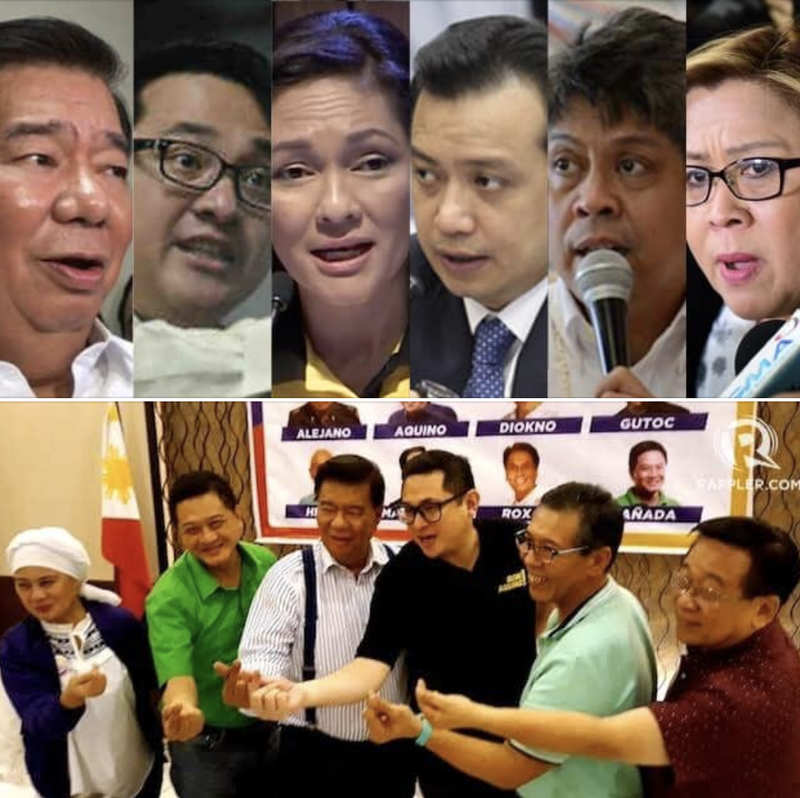 6: The Opposition never anticipated Duterte would veer towards an independent foreign policy which would raise his international standing and open new doors for the Philippines. An independent foreign policy increased the leverage and options of Duterte. Mistake No. 7: The Opposition did not anticipate the victory of Donald Trump. It was counting on the candidate of Loida Lewis to win the American presidential election. It lost the support of the White House when Trump won. Mistake No. 8: The Opposition opposed martial law. By opposing, it was seen to be sympathetic to the terrorists and endangering the lives of our soldiers and police. It gave additional weight to arguments the president be given extraordinary powers to deal with extraordinary situations. It increased the revolutionary fervor in the country. Mistake No. 9: The Opposition triggered a situation that would lead to its own demise, to an event that still has to be played out in the coming days. See what happens when a brainless Opposition likes to play games that it doesn't know how to play?